For years, New York City has withstood Walmart’s advances. Every time the notoriously anti-labor company tries to build a store, even by hyping all the jobs and cheap food it will provide, there’s a neighborhood uprising and Walmart’s team gets booed out of town. 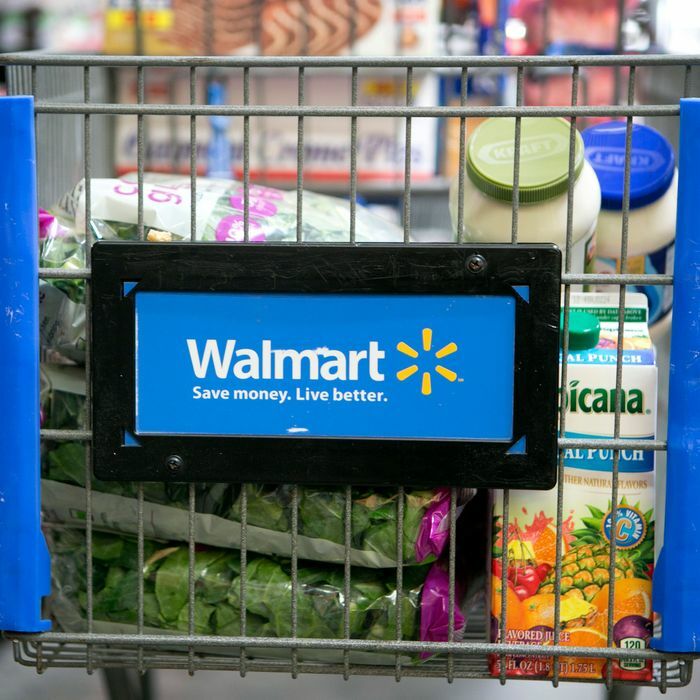 Now, however, Walmart has devised a slick new work-around, according to today’s Wall Street Journal: New Yorkers may balk at Walmart being physically inside the five boroughs (even in Staten Island), but it’s betting they can’t say no to same-day delivery of low-cost groceries. The Journal reports that the move is part of a wider grocery-delivery expansion plan — by partnering with Uber and other delivery start-ups, Walmart will bring Great Value–brand canned peas to your doorstep in 100 U.S. cities by year’s end. Those deliveries will cost $9.95, with a $30 minimum. But the program’s crown jewel is same-day delivery in New York. Since there are no local stores, grocery orders in New York will be fulfilled by Jet, the e-retailer Walmart bought in 2016 for $3 billion. Jet already sells groceries online in certain cities, but they ordinarily take a few days to arrive. So New Yorkers will be the guinea pigs for same-day service. A Walmart source says that their theoretical plan is to eventually expand this on-demand delivery program to ten or so other cities where Walmart “hasn’t built a store presence,” assuming there are even ten cities that would qualify for that.